When you sell a home, one of your first decisions is whether to FSBO (for sale by owner, pronounced “fizz-bo”) or hire an agent. But there are other options as well, offering less-than-full service and still saving you money. Learn about your options, from full-service Realtor to going it alone, and all the hybrid programs available today. 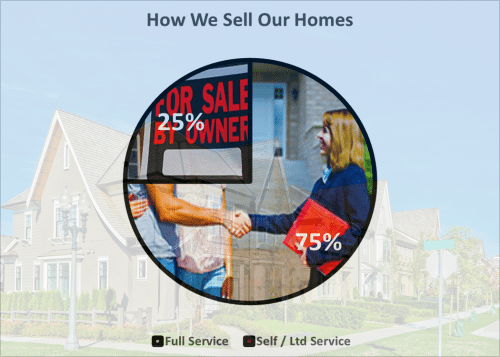 If you read a report from the National Association of Realtors, you’d believe that no one is selling on their own anymore — a mere 8 percent of sellers, according the the NAR’s 2016 report. But they glossed over one important fact, says Forbes Magazine — that many, many sellers are doing at least part of the work themselves and paying less to sell their properties. For instance, one of the most cost-effective things you can do to market your home is get it listed on the local multiple listing service, or MLS. You might pay a few hundred dollars to a real estate brokerage for the placement. And the NAR will count that as a Realtor-assisted sale, even if it was pretty much a FSBO. Another 2016 study conducted by Redfin found differently. Redfin concluded that 25 percent of sellers in the last year pulled it off without the help of a full-service agent. About 15 percent of sellers used a limited service agent, and about 10 percent listed without an agent’s help. So if you decide to go it alone, you’re not really going it alone. Even in the hottest markets, DIY home selling involves more than just putting a sign in your yard. 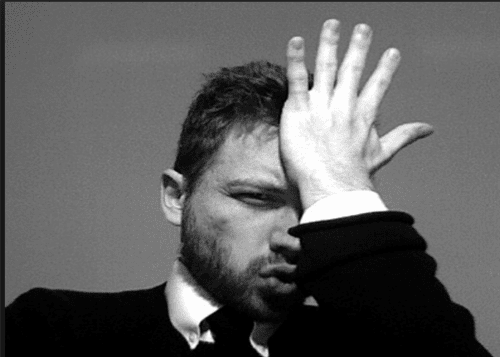 Before making money-losing errors, make sure you know the answers to these five questions. 1. What’s my property worth right now? Everyone wants to buy low and sell high, and home sellers often overestimate the desirability of their homes. So act like an appraiser and research local sales and trends online. It’s important to look at actual sales prices, not just “wishful thinking” listings. The AVM is what you get with most online valuation tools. It works when you haven’t done much improving your home, if it’s in a tract of identical houses, and you’re willing to be off by 10 – 30 percent. How to determine your property value? If you’re considering listing with a real estate agent, part of the marketing presentation usually involves a CMA. However, it’s part of a sales pitch. And agents’ main business is not evaluating — they might overstate your value to get your listing. Brokers with BPOR certification from the National Association of Realtors have special training and only they are allowed to perform BPOs. Lenders often commission BPOs to determine the value of repossesssed property before a foreclosure sale. The broker examines three recent sales of comparable property to yours, and three currently-listed houses. He or she performs what amounts to a mini-appraisal and offers a value estimate. A typical BPO costs between $50 and $250. considerably less than an appraisal. 2. Am I willing to deal with buyers’ real estate agents? While you may decide not to use an agent, many buyers still choose to work with one. And that person expects to get a commission, usually from the seller. It’s traditionally how real estate sales work. Expect to pay 2.5 to 3 percent of the sales price if an agent brings you a buyer. While you can refuse to pay the commission, it will probably shrink your pool of potential purchasers. 3. How much do I like sales and marketing? Some FSBO sellers are surprised by the amount of time and effort selling a home can take. 4. Can I stand people stomping through my house and saying rude things? No one likes to hear their beloved house trashed by an outsider. But buyers may put down your home as part of a strategy to get a better price. Can you stand to hear about your house’s shortcomings? How much will you resent potential buyers interrupting your meals, your business, or your fun time? There is a reason most professional agents have their sellers leave when buyers come in. For one, buyers are more likely to express their opinion of the house’s features, faults and price. This is valuable information. The other reason is that most people find criticism distressing, and that can make them too emotional to negotiate properly. Finally, selling yourself can be a challenge if you have pets. Most agents recommend that pets not be present when buyers are viewing the property. And definitely extinguish all pet odors before putting your house on the market or allowing people inside. 5. Am I willing to screen my own buyers? With an agent, someone else supervises home showings and makes sure your personal effects don’t walk out the door. And they don’t let people who can’t get financing waste your time. You should check potential buyers’ identification when they enter your home, and note their names and addresses. This should make them think twice about damaging or stealing anything. 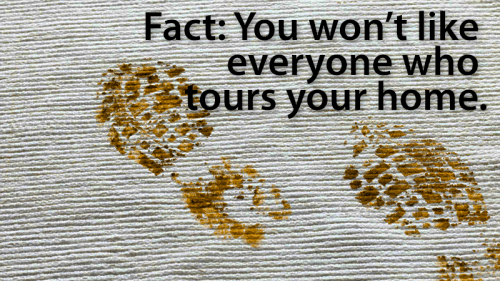 If your floors are delicate, be prepared to offer a place for shoes and socks or slippers to visitors. Make the place inviting by turning on lights, setting the temperature to a comfortable level, and keeping things neat and clutter-free. Your first line of defense is requiring potential buyers to provide a mortgage pre-approval letter. Or at least a pre-qualification letter. That shows that they are serious enough to have gone through the process with a mortgage lender. A pre-approved borrower is better than a pre-qualified one. A pre-approved or “credit approved” buyer is almost as good as a cash buyer. As long as your property appraises for at least the purchase price and meets the lender’s standards, you should be able to close fairly quickly. 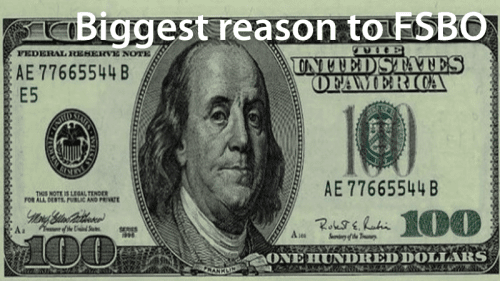 The biggest reason to consider some form of FSBO is the money you may save. If your house sells for $300,000, a traditional real estate commission of 6 percent would cost you nearly $20,000. You can keep that money or drop your price to sell faster. While real estate writers often claim that professional agents are better negotiators than “civilians,” research does not necessarily support this. Economists Stephen Dubner and Steven Levitt wrote in Freakonomics that agents who sell their own houses get better deals for themselves than they negotiate for their clients. That’s because they have more incentive to move a property fast than to squeeze a few thousand more from a buyer. Negotiating $25,000 more for you gets them, after splitting commissions with the selling agent and their broker, about $375. Not worth the extra time and effort for them, but probably worth the effort from you when you sell yourself. The other benefit is that you control the process. You decide if you want an open house. You decide how to advertise, if you want to have an open house, when to show your home to prospective buyers, and how you want to negotiate with them. If you like being in the driver’s seat, you may prefer to DIY your home sale. Today’s homebuyers can check out homes without spending hours in the back seat of an agent’s car. They can and do tour for-sale homes anytime they want. But how do you get your house out there in front of buyers? You could build your house its own Web page. Or you could pay a national real estate firm 6 percent to take lots of pictures, print brochures and advertise your house on their site. Or, you can choose another level of service and price for a custom experience. This so-called “hybrid” model blends traditional and DIY real estate sales, letting you save money by doing things you don’t mind doing, and save time by paying someone to do things you don’t like. The hybrid model: all things to all people? Traditional agents usually split a 6 percent commission between the listing agent, the selling agent, and their respective brokers. Each party may grab a 1.5 percent share of your sales price. FSBO sellers do not have to pay the standard commission, but may have to pay a selling agent and broker 3 percent in order to make the deal work. And FSBO selling can be a lot of work and aggravation for some. FSBO sellers may miss out on buyers who have buyer’s agents. Their agents may prefer to avoid FSBOs, even those who will pay a 3 percent commission. They expect that they will be stuck with most of the work. A hybrid model can prevent this. Online self-help platforms offer different ranges of service, letting sellers decide how much service they want and what they want to pay. Paying for a listing in your local MLS is the minimum you should do, according to the American Economic Review. Researchers claim that, “the probability of a quick sale is higher for houses initially listed on the MLS.” Many hybrid model platforms offer free trials and low-priced options. The highest-end packages offer signage, online or phone support, state-specific real estate forms and national and local MLS exposure. It may be well worth the investment if you save a ton and avoid the worst of selling stress by getting some professional help. When it comes time to sell, think realistically about how much you’re willing to do. If you are confident, willing to put in the hard work, and perhaps have some real estate or marketing experience, FSBO may work well for you. Regardless of how much or little help you get from an agent or service, you’ll have to complete these steps. You may have learned to live with your home’s “quirks,” but buyers will quickly notice deferred maintenance like peeling paint or sticky doors. And they will wonder what other problems are not in plain sight. Take care of obvious ugliness and health and safety issues, but don’t over-improve the place for someone else, or price yourself out of the neighborhood with too much fancy stuff. Staged homes fetch higher prices. It’s a fact. If you don’t want to hire a pro, at least rent some storage space and stash a minimum of half of your belongings out of sight. You may need to get rid of pet hair and odors, and even board your furry family members elsewhere until you close on the sale. Plan to spend some money for advertizing. Researchers claim that nine of ten buyers search for houses online. They need to be able to find you and yours. It pays to spend what it takes to get your house listed on the local MLS. While the MLS is not available to consumers listing homes, there are brokerages or platforms that offer the service for a flat fee. Make yourself available for showings and be as flexible as possible, You will probably have to put your life on hold while selling your own house. If you offer a commission to selling agents, make sure they know it. Your MLS listing should state this, as should your signage and advertising. Plan on putting a lockbox on the house, so selling agents can tour the home with their clients, and you won’t have to be there. Make them earn their 3 percent! Should you hold an open house? Many believe that they are primarily used by agents to market themselves to your neighbors. If your house is on the MLS and you provide good pictures and / or virtual tours, you probably don’t need to hold an open house. And you avoid looky-loos and snoops prowling through your home. If you do open your home, it will be easier if you have some help — someone to sign in visitors and check IDs, someone to keep an eye on various rooms as people walk through, and someone to answer questions from potential buyers and agents. Hire a good photographer to shoot a virtual tour. Most pros can also offer drone photography. Advertise the virtual tour link in your brochures and fliers. Decide what’s most important to you. For example, an all-cash offer with a fast closing date may be better for you than a higher sales price contingent on buyers selling their current home. Understand your market — you’ll negotiate differently in a seller’s market than in a buyer’s market. The buyers or their agents normally draft the sales agreement. If there are multiple offers, you’ll be responsible for communicating with potential buyers / agents. You’ll evaluate the strength of each offer and perhaps counter them, eventually arriving at an agreement. Learn in advance how to write a counter offer. You don’t have to accept the buyer’s offer, but you should always counter and give them the chance to do better. Many just automatically see what they can get away with on the first go-round. Remember that price is just one factor. You may be able to make the deal more attractive to a buyer by paying closing costs or throwing in a snow blower. Incentives to buyers’ agents may also get the deal done while still saving you money. Require an earnest money deposit that the buyer will forfeit if he or she does not adhere to your contract and close as agreed. Understand that contingent offers let the buyer out of the deal under some circumstances. For instance, most standard contracts allow the buyer to exit if a mortgage lender declines their loan application, or the home fails to appraise for the sales price. There are two schools of thought about home inspections. On one hand, by getting one before putting your home on the market, you find out if anything needs to be fixed upfront. This can eliminate ugly surprises deep in the process. Home inspection: What do they do and why should I get one? On the other hand, most (if not all) states require you to disclose any defects you know about. So anything that turns up would have to be fixed or disclosed, and you may not want to do that. Providing a copy of your own inspection may help put buyers at ease, and they may even waive their right to order their own. That’s not smart on their part, but an unrepresented buyer might not know any better. Your sales agreement should set a limit on the amount of repairs you’re required to complete. For instance, you might agree to pay for repairs up to $2,000 without renegotiating the contract. But if the inspector comes up with $20,000 of repairs, you may not want to be forced to do that to close your deal. You may prefer to just kill the deal or negotiate a lower sales price based on the inspector’s findings. Federal and state law mandates certain disclosures and material facts. You must give the buyer a copy of all required disclosures. Have your buyer sign a receipt indicating that you provided these things. In many parts of the country, buyers ask for pest (termite) reports from the seller. The cost is negotiable, but many areas have traditions that dictate what people expect to pay for, and what they expect you to pay for. If you live in a community, co-op or condo with a homeowners association (HOA), your buyers and their mortgage lenders will want copies of the covenants, conditions and restrictions (CC&Rs). That’s a set of rules homeowners must abide by. Know if your community is FHA, Fannie Mae, Freddie Mac, VA or USDA-approved. You can then advertise this fact to potential buyers. The buyer will likely obtain title insurance, which again is a negotiable expense between the parties. You should order a preliminary title report before selling, so you’ll know if there are issues you need to address. For instance, things like tax liens that might be on your title by mistake. Smart sellers often offer to provide a home warranty. That costs a few hundred dollars for a year of coverage. And the buyer won’t be blaming you for every little thing that goes wrong after the sale, or call wanting you to fix anything. Ordinarily, buyers get some amount of time to review these disclosures. Once that deadline passes, they don’t have the right to kill the deal because of anything on the forms. If your contract is set up correctly, you should be able to keep their earnest money if they back out at that point. Should you offer seller financing? If you have a significant amount of home equity, and don’t need to receive the entire proceeds of the sale at closing, consider seller financing. Lending some or all of the purchase price to buyers offers a couple of advantages: you reach a larger market and create monthly income. There are three ways to structure your sale. Your choice depends on your objective and how much you owe (if anything) on your home. When you create a mortgage (or deed of trust, depending on your location), you become a mortgage lender. You and your buyers have to execute mortgage documents dictating the loan’s terms. You record a lien against the home with your county. Mortgages and home sales are public, and must be recorded to be enforceable. In this case, most of the financing is taken care of by a professional mortgage lender. You just finance part of the buyer’s down payment. This is called an owner carry or “piggy-back” mortgage. One common structure is the 80/10/10, in which the buyer puts ten percent down, gets a ten percent carryback from the owner and an 80 percent loan from a mortgage lender. An 85/15/5 requires just 5 percent from the buyer and 15 percent from you. Understand that the mortgage lender is in first position. This means if the buyer defaults and the lender forecloses, it gets paid first from the foreclosure sale. You get paid only if there is enough left over to cover what’s owed to you. A “wraparound” loan creates a new mortgage between you and the buyer. However, you continue paying your existing loan. Not all lenders allow this. In fact, many have an acceleration or due-on-sale clause that requires you to pay off your mortgage when you sell your home. If you owe $100,000 and sell for $150,000, you might accept $15,000 down, grant a $135,000 mortgage, and record the sale with your county. You receive monthly payments from your buyer, make monthly payments to your lender, and pocket the difference. There are several advantages when you finance a sale yourself. Not only do you receive your profit from the sale; you can take what a lender would get in interest and loan fees. Buyers who can’t purchase a home with traditional financing have less bargaining power than prime buyers. 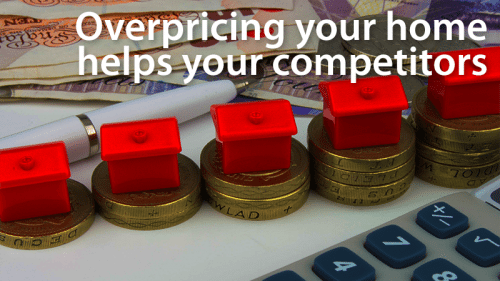 You’re more likely to get a better price. If you’re not able to legally exclude all capital gains on your property sale, you can minimize or defer tax liability by carrying a mortgage. The IRS calls it an installment sale, and only a small part of each payment is considered a taxable gain. Depending on your bracket, the savings can be substantial. Financing a sale creates income streams. First, just like a traditional lender, you can charge closing costs for originating the mortgage. One percent of the loan amount is typical. The second income stream is the return of principal, including the gain on your property sale. The third stream is your interest income. Before setting an interest rate, know what mortgage lenders are charging someone with your buyer’s credit, down payment and income. In many areas, it’s customary for property sellers to pay at least half of closing costs. Plus real estate commissions. As a financing seller, you might be able to skip expensive title insurance in addition to the services of a real estate agent. There are also disadvantages and risks when you provide financing. It’s up to you to decide if the extra money is worth it. Unless you’re very experienced at selling and financing property, hire a real estate lawyer to set up the loan. An attorney should also draw the sales contract if there’s no agent involved. Lawyers don’t work for free, but not using a pro can be very expensive in the long run. If the buyer fails to repay as agreed (either you or a mortgage lender in first position), you will be dealing with the foreclosure process. The legal fees, aggravation and potential property damage are major issues. It’s critical to remember that a mortgage lender’s lien takes priority, and your carryback is a second mortgage or junior lien. This means the lender gets repaid first after the foreclosure sale. You get paid (maybe) from what’s left over. Almost all mortgages have “due on sale” or “acceleration” clauses, which means your lender can choose to call in the loan once the property changes hands. It doesn’t happen often, but it’s possible. Your lender might okay the wraparound after the fact, but increase your interest rate. If you create a wraparound mortgage, consider all contingencies and have an out, just in case. Unless you’re an experienced private lender, get professional help. Have a real estate attorney help you set the terms of your sale and loan. Do not rely on forms from your office supply store. Hire a note servicer to collect monthly payments. It should also collect and pay property taxes and homeowners insurance premiums. It’s not expensive, and much of the time, the buyer pays it anyway. Act like a lender, because you are one. Have your buyer complete a Fannie Mae Form 1003 (mortgage application). Pull the buyer’s credit, verify income, and set your down payment requirement based on the strength of the borrower. If your buyer needs you to carry the loan because his credit report looks like a rap sheet, don’t make yourself the next victim. Experienced “hard money” lenders set upfront fees and down payments very high. So high that they won’t lose money if the buyer defaults early on. You should look after yourself like the pros do. There is a reason that states don’t just hand out real estate licenses to anyone. Agents must complete a certain amount of training and pass at least one exam to get their licenses. And they must pass continuing education classes every year. You probably don’t have that training. So here’s a crash course in what not to do when you FSBO. Whether you are selling on your own or with an agent, in order to attract buyers, clean your house, get rid of clutter, and maximize your curb appeal. However, beware of spending too much and over-improving your property for its neighborhood. Put your money where it will do the most good — on inexpensive improvements like fresh paint, a weed-free yard, an inviting front door, and clean baseboards and walls. Sellers who FSBO must do their own research on what similar houses in their area are fetching Look at the most recent sales you can find, and also check out the listing prices of competing properties in your area. Remember, your house will sit on the market longer, costing you time and money, if you overprice it. All you’ll be doing is helping other people sell their homes, because they will look better in comparison. In fact, agents often show overpriced houses first, then show their own listings to their clients. Your bad decision helps everyone but you. 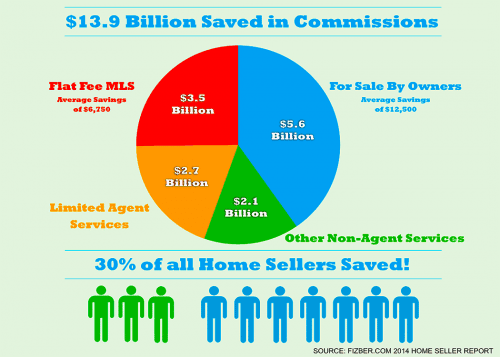 Selling your home without an agent won’t save you the entire 6 percent unless your buyers are also unrepresented. If you want to attract the attention of buyers who are working with a real estate agent, you’ll have to offer a commission in the traditional range of 2.5 to 3 percent, and maybe more to compensate the agent for the extra work your FSBO deal implies. On the other hand, don’t just let the buyer’s agent control the whole process, or push you to accept less than you should. If you can’t negotiate comfortably, get your own representation. Since nearly all buyers start their home search online, they are used to checking out photos before touring houses in person. Make sure you have multiple photos with your listing. And be smart about what you showcase: if you say you have a great view, show the view. Incredibly, even professionals sometimes make this mistake. They put up 20 pictures of the bathrooms and none of the outside. Highlight your home’s great points. Make sure the rooms are clean, clutter-free, and well lit. No blurry, dark or ugly pictures, please. This is one area in which professional staging and photography may offer a lot of bang for your buck — especially if you’re selling an upscale property. It’s easy to find FSBO services that can put your home on the local real estate listing service for a flat fee. It’s just a few hundred dollars (almost nothing compared to the value of your home). You can market your property to thousands of buyers, probably the most cost-effective help you can buy. Selling your home is a pain, plain and simple, and it’s even worse when you have to do all the work yourself. If you can’t be available to show potential buyers on their schedule, hire someone who can. Unless your house is so desirable or well-priced that you can make everyone come at 6 am on Sunday, you’ll either have to put up a lock box and pay a 3 percent commission or take a lot of time off work to show your house. Respond to emails and phone calls immediately, because any of them could be from a potential buyer. Remember that serious buyers want to narrow down their list quickly, view those homes and complete the process ASAP. If you wait a few days to make contact, they may already be under contract elsewhere. Don’t take your home off the market until you get proof that the buyer can follow through. This means a mortgage pre-approval letter or bank statement showing the buyer has the cash to close. Don’t rely on mere pre-qualification. In most cases, pre-qualification does not involve underwriting, proof of income or even necessarily a credit report. You could lose a lot of time and money if your sale fails at the 11th hour. There is money to be saved by selling your home yourself. In some cases, big money. However, don’t be surprised if you save less than expected, and have to work a bit harder for it.